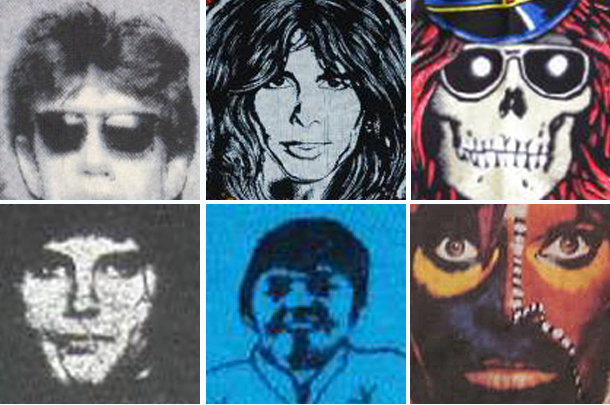 Can you identify all six frontmen (AND their band) from these close-ups of vintage t-shirt screen prints? Post your guesses in the comments section! See if you can name the Heavy Metal Mascots in our last Screen Test.